No. 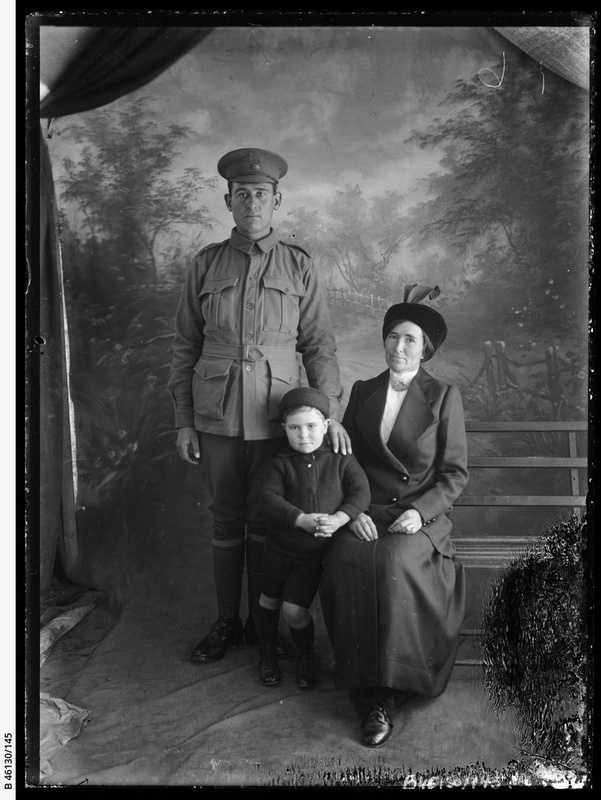 2143 Private Stirling Clement White, born Willamulka, South Australia, with wife Minnie Margaret White nee Dorward and son Clement Clyde White. Enlisted 16th Battalion 11 March 1915. Served Gallipoli and France, wounded Gallipoli 13 August 1915. Promoted Corporal 1916. Returned to Australia 1917. Stirling moved to Kalgoorlie/Boulder in Western Australia after the war and started a new family there, having 4 more children; 2 boys and 2 girls.